August: National Immunization Awareness Month (NIAM) - The Hospice Insider is the Place To Land for Hospice News, Information, Resources and HospiceFact. Celebrate all stages of Life. 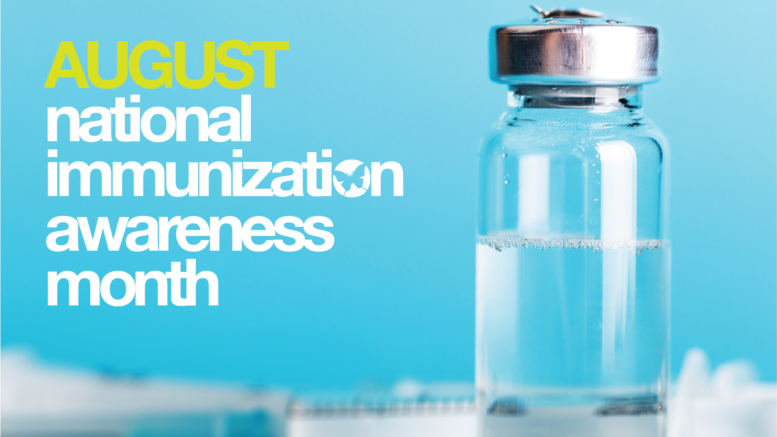 Every August is the annual observance of National Immunization Awareness Month, also known as NIAM, highlighting the importance of vaccination for people of all ages. The National Public Health Information Coalition (NPHIC) sponsors NIAM. In collaboration with the CDC’s National Center for Immunization and Respiratory Diseases, NPHIC has developed toolkits to communicate about vaccines for various audiences. Each week in August it focuses on a different stage of the lifespan beginning with the first week being Adults, second week Pregnant Women, Babies and Young Children on the third week and the final week concentrating on Preteens and Teens. The CDC also recommends checking with your state or local health department to see if they have additional immunization resources you can use during NIAM. You can also find further information at the National Public Health Information Coalition website https://www.nphic.org/niam and information on specific vaccines at https://www.vaccines.gov.